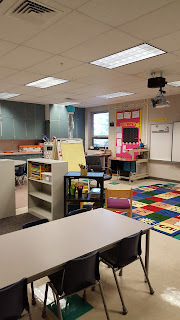 My room is ready for a new group of learners and it looks very different from a traditional classroom. 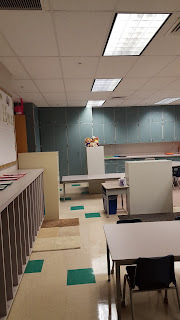 There are only 3 tables for group work. The students use the room as they see fit; there are no assigned desks. Here is view from the door, across the room. 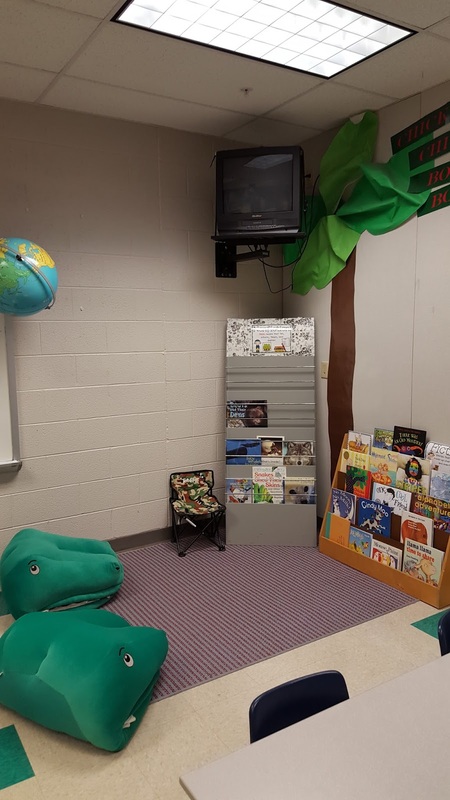 I have always wanted to provide the optimal setting for learning and research talks about the best classroom design. 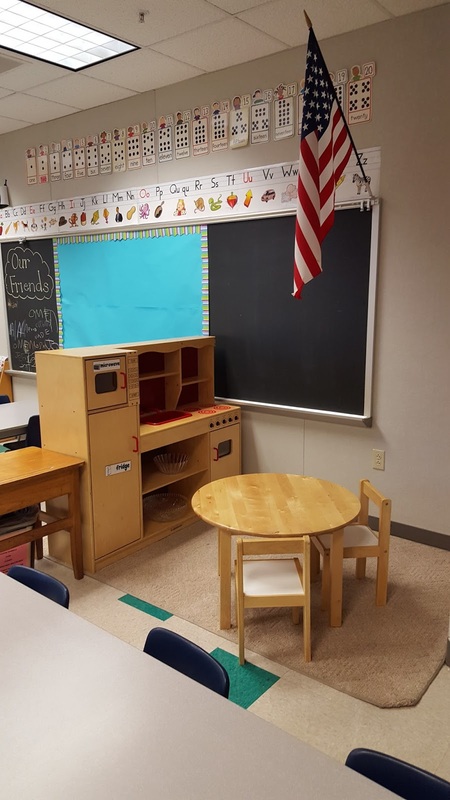 To Foster Productivity and Creativity in Class, Ditch the Desks! 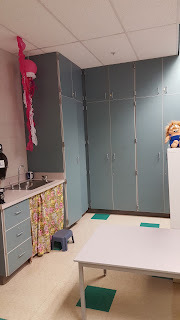 Can you find my desk from the picture above???? 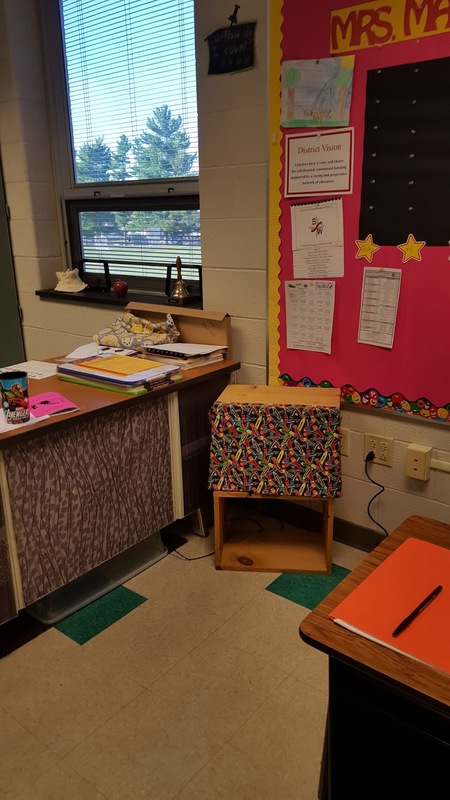 I didn't "ditch the desk" but it morphed! Soon to be Listening Center in front! 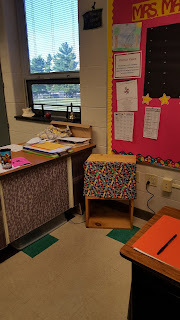 A light up box under the desk! Can't wait to see how it will work and be used! 1. 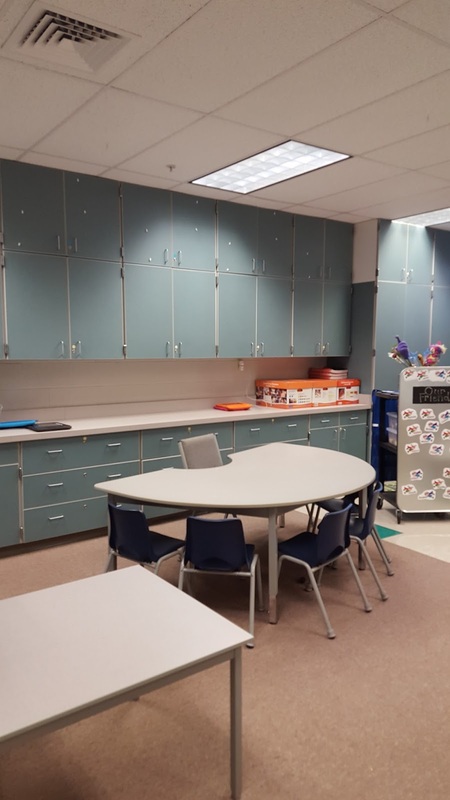 Make special areas for students to work. 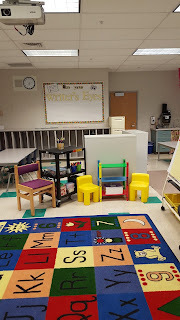 The large blank wall will eventually include out Kidwriting Crowns along with our writing descriptors and check lists. 2. Keep things neutral and let the lessons spark the interest. 3. 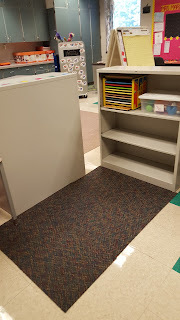 Supplies and materials emerge as the community in our classroom emerges. It has only has puzzles and Potato Heads on the shelf right now! Eventually, materials will replace and switch with these as the year progresses. Check out the other interesting areas in our room! 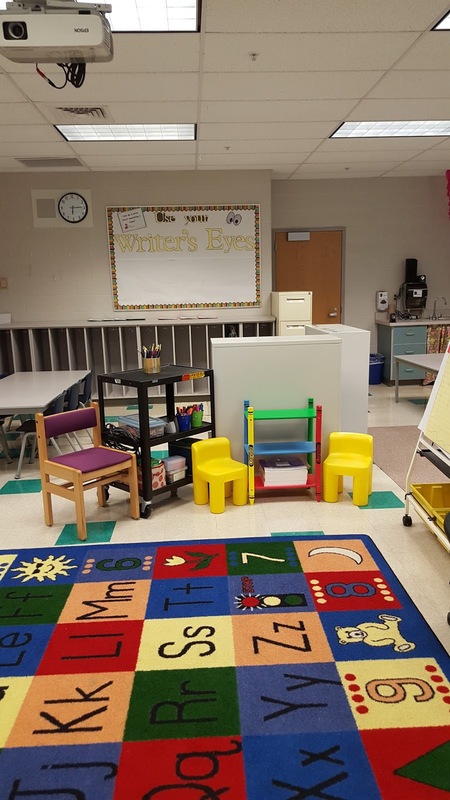 Another article I found helpful was 3 Quick Tips for a Beautiful, Brain-Friendly Classroom. The light box is new to me this year and so easy to make! 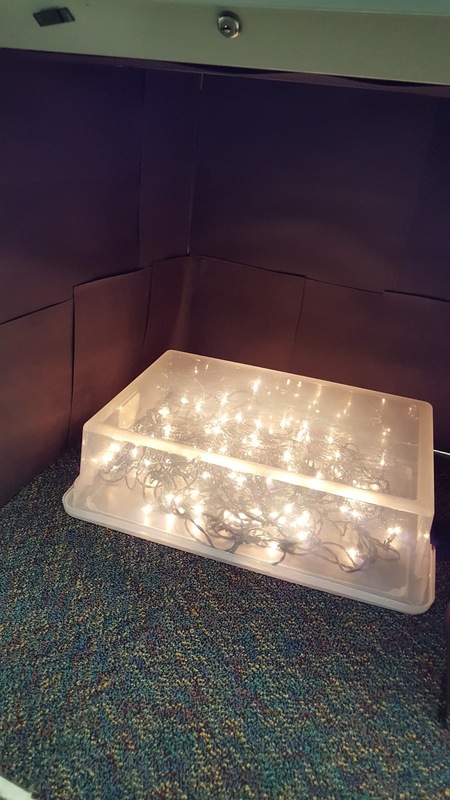 Christmas lights and a transparent box, tad-ah!